Senior Hank Rainey drives the ball out of South Pasadena, up field. Rainey held down South Pasadena's defense, while scoring one goal on a free kick. 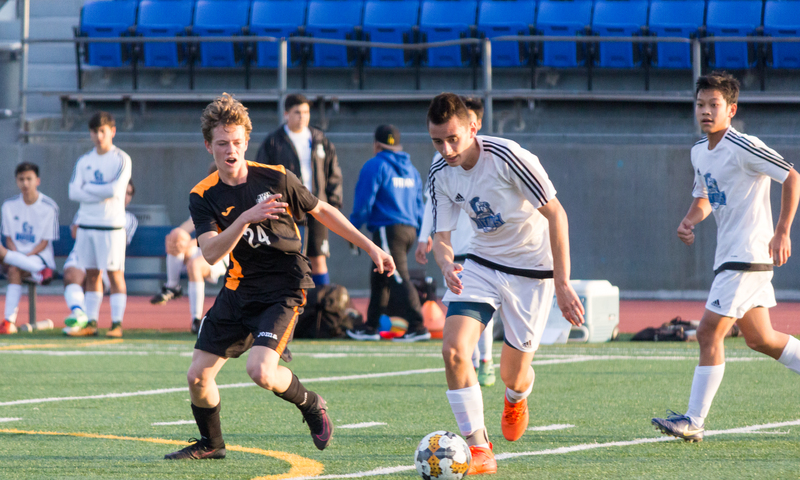 Boys’ soccer defeated its rival, San Marino, 6-1 on Wednesday, January 10 in its first league game of the season. 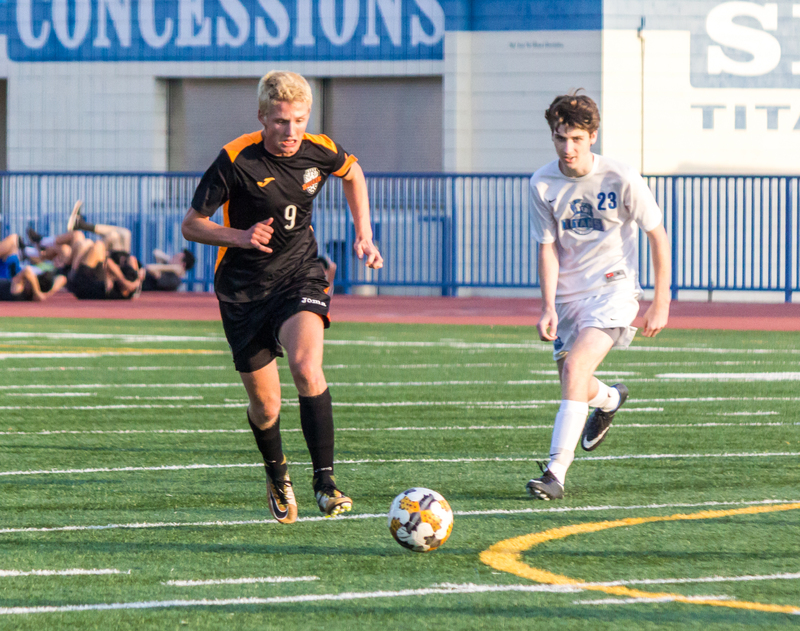 The Tigers overcame a slow start to the first half with a monster four-goal second half, effectively putting away the overmatched Titans and advancing their league record to 1-0. Both teams began the game with sloppy play, keeping the ball near midfield for the first ten minutes due to the poor passing. However, under the directions of Coach Zurita, the Tigers began to advance the ball upfield by finding holes in the Titan defense. The first half rattled on with little to show for either team until the final two minutes. Senior Jack Renken found the back of the net for the second time in the half, this time off a header. Renken was in perfect position to take a header from junior Eamon Hornish, who had perfectly spotted the ball for his teammate’s shot attempt. The goal doubled South Pas’ lead and gave them a cushion going into halftime. 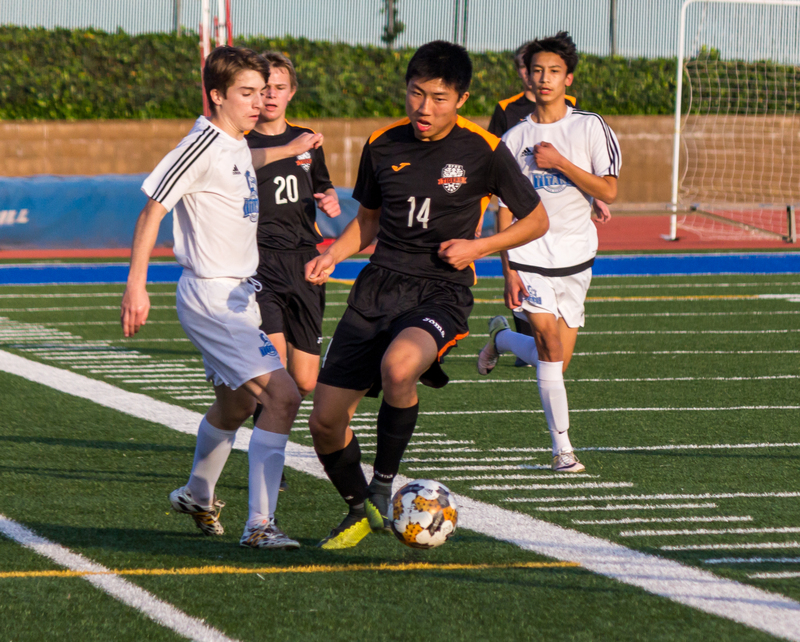 Sophmore Tianho Wei dribbles the ball away from San Marino defenders. The Tigers came out of halftime with a newfound intensity, scoring two goals in the first two minutes. The first came off the foot of sophomore Kevin Kang, who had broken away from the Titan defense, sending a strong boot into the upper left corner of the goal. The goal was his first of the year. Renken took credit for the second goal after he corraled his own rebound off a blocked shot and deposited into the goal. The three-goal performance marks Renken’s second hat trick of the season. The scoring quieted down from there, as the Tigers began to play more conservatively with a four-goal lead. Senior Jack Gallagher continued to lock down the Titan’s offensive attack during this time with multiple diving saves and punch outs. Gallagher also played a key role in the defensive communication, barking out orders and providing encouragement for his teammates. San Marino managed to break the lull with its first and only goal off the game, coming off a free kick. Following the goal, the game started to get chippy between the two arch-rivals, as players began to play more physically. The intensity of play and increasing San Marino frustration resulted in multiple fouls and two yellow cards. Sophomore Aidan Lewis chases a San Marino player down field. The score remained at 4-1 until the last five minutes of the game, when South Pas padded its lead with two more goals. 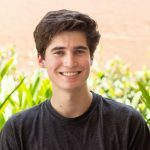 Caleb Lee continued his stellar freshman campaign with his fourth goal of the year, while defensive senior Hank Rainey got in on the action with a beautifully placed free kick, which found its way into the upper right corner of the net. The goal sent the crowd and South Pasadena bench into an uproar and effectively ended a successful league game for the team. The Titans were no match for the visiting Tigers, who outplayed them in every facet of the game. Although San Marino is one of the weaker teams in the Rio Hondo League, a win against a rival team and a 1-0 record in the league gives the team confidence going forward against tougher opponents. South Pas’ next test with coming at home against the Monrovia Wildcats on Friday, January 12, who is fresh off a 3-0 victory over Blair. The Tigers split last year’s contests against the Wildcats and will be looking for better results this time around.